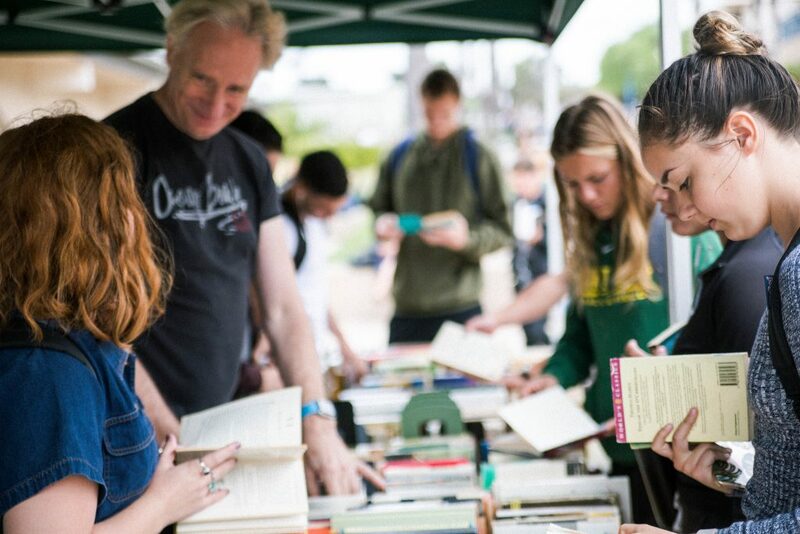 This spring marked what was likely to be the last Book & Bake Sale sponsored by the Department of Literature, Journalism, Writing & Languages after a run of more than 30 years. Fittingly, the sale was dedicated to Jim DeSaegher, Ph.D., PLNU professor emeritus of literature. 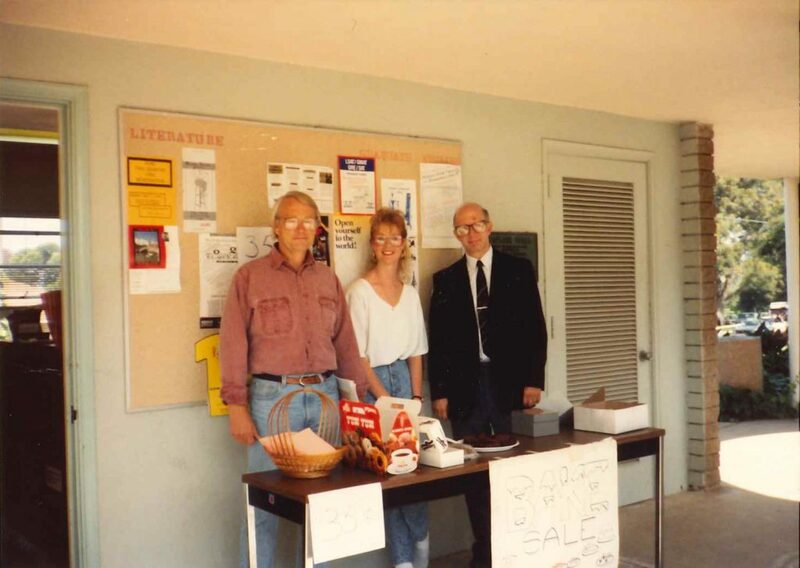 DeSaegher hatched the idea for the Book & Bake Sale back in 1982 when he was an adjunct professor in the literature department. While DeSaegher was unable to attend this spring’s sale due to his health, appreciative students, faculty, and staff penned notes to thank him for his years of support for the department and university both while he was a professor and throughout his retirement. 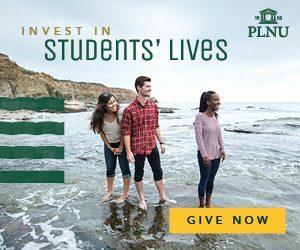 DeSaegher began working for PLNU as an adjunct faculty member in 1977, but he had actually worked on the Point Loma campus before PLNU arrived. Prior to PLNU (then Pasadena College) moving to San Diego in 1972, the land at 3900 Lomaland Drive was owned by Cal Western University, which later became United States International University (USIU). That’s where DeSaegher worked in 1961 – he was chair of the literature department. Later, he taught for Christian Heritage College (now San Diego Christian College) from 1975 to 1977. In 1977, he began working for PLNU. By 1987, DeSaegher was a full-time professor at PLNU. He retired in 2004 but has remained involved with the university and students ever since. DeSaegher has always been committed to do what he could to elevate the LJWL department. Based on his experience as a chair at Cal Western, DeSaegher suggested to the PLNU literature chair that the department would benefit from creating an end-of-the-year event to honor seniors. DeSaegher conceived the Book & Bake Sale as a way to raise funds for the senior event. The money raised was used to lower ticket costs, making the experience affordable for students. 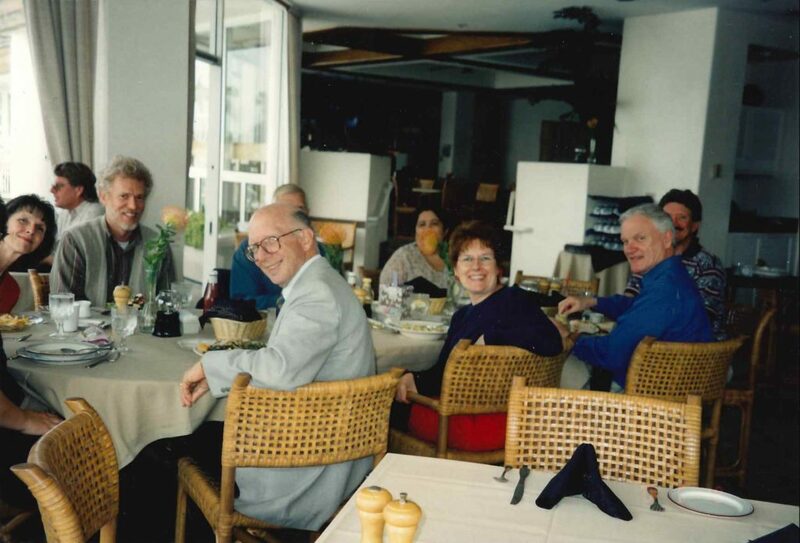 In the early years, the senior banquet was held at a restaurant off campus. As the department grew, it was shifted to be held on campus. The Senior Brunch remains a time to honor LJWL’s seniors and celebrate the department and its students. Related Article: How professor Val Christensen played an important role shaping PLNU into what it is today. The Book & Bake Sale may have been conceived as a fundraiser, but it, too, came to mean a great deal to students and the department. With the addition of books, the sale became a special event – a place where students could gather, browse, enjoy a pastry, and celebrate reading. And it still raised money for the department without costing much for students to expand their personal libraries. The sale became a special event — a place where students could gather, browse, enjoy a pastry, and celebrate reading. And it still raised money for the department without costing much for students to expand their personal libraries. Once he was retired, DeSaegher would spend the whole day at each book sale LJWL held. He would pitch in with the packing and unpacking, the selling and the engaging of students. The Book & Bake Sale wasn’t the only way DeSaegher engaged students outside the classroom. He and Lou regularly invited students over for meals at their home. He also chose four students each year to sit on a committee to plan the senior banquet. And each time he came to campus for a sporting or music event, he would pay for a couple of students to come along. As a student, and then as a grad student, and then as a faculty member and friend, I have spent countless evenings with the DeSaeghers, eating casseroles, talking about literature, occasionally viewing vacation slides, and playing competitive games of dominoes or Scrabble. DeSaegher extended the same care to his colleagues. Phil Bowles, Ph.D., professor emeritus of English, mentioned this in the letter he wrote to DeSaegher. “From Day One, you were forthcoming and interested in me as a colleague and in the welfare of Sharon, the children and me,” Bowles wrote. Based on the gradebooks he kept from 1961 to 2004, DeSaegher estimates he taught more than 10,000 students. Manning says DeSaegher’s classes were known to be challenging, but she is just one of many students who keep in touch with him. Those 10,000 students knew that they were not only being intellectually challenged by DeSaegher but also being deeply cared for and loved. “I get all the wedding and baby announcements,” DeSaegher laughed. Outside of teaching, both Jim and Lou have been lifelong musicians. In 2011, Jim retired after serving as the organist at Scott Memorial Baptist Church for 50 years. If you would like to send a thank you note to Dr. DeSaegher, please email amontano@pointloma.edu. Related Article: How reading fiction is good for the mind and the heart! Christine is the editor of the Viewpoint magazine at PLNU.